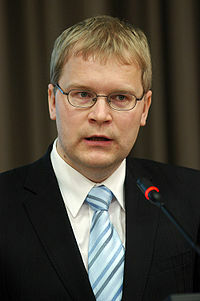 The former foreign minister of the Baltic nation of Estonia, a member of NATO, called out German duplicity in its support for the Nord Stream II pipeline, which will deliver cheap Russian gas to Berlin and significantly harm German, and European, energy security. “The development of Nord Stream 2 continues at full throttle, despite the fact that several European states have expressed their severe concerns, including Poland and the Baltic states, as well as the European Commission and the European Parliament. The reason for [those concerns] is that Nord Stream 2 would increase Europe’s energy dependence on Gazprom gas, which is in direct conflict with the main objective of the Energy Union of the EU — preventing a situation where an excessively large part of the market is dominated by an external trader, whereby the energy security of Europe is weakened,” Paet writes in his blog, reported The Baltic Times. “Whatever the reasons behind Russia’s efforts to establish Nord Stream 2, that much is clear — Russia cannot build the pipeline alone. Several European companies are cooperating with Gazprom in its construction. More importantly, it would be impossible without the consent and support of the German government. The implementation of this project would not be possible if the German government did not ignore those who criticize Nord Stream 2 because, in addition to the short-term economic gain, the latter can also see the fundamental long-term risks involving security, politics and economy. “The construction of Nord Stream 2 and the German government’s support to it are in direct conflict with the objectives of the EU Energy Union seeking to decrease dependence on external energy traders. Nord Stream 2 ignores the concerns of several allies of Germany and grants Russia additional strategic opportunities to influence Europe as it increases Europe’s energy dependence on Russia,” Paet said. ‘Germany, however, has ignored the concerns and warnings of the other EU states, NATO and the United States and, by supporting Nord Stream 2, has acted against the will of the European Commission, the European Parliament and the majority of the Council of Europe,” he added. Paet joins U.S. President Donald Trump who has severely criticized the German government for the construction of the pipeline and the obvious consequence of increasing Berlin’s reliance on Russia for critical energy supplies for domestic and industrial use. Germany is taking these actions while significantly underpaying its financial commitment to the NATO alliance; it is reported that Germany only has a handful of combat aircraft that are operational, all while relying on the American nuclear umbrella for its security.